* Splash Damage, the developer behind the console/PC titles Brink and Enemy Territory: Quake Wars, is getting into the publishing game under the newly established Warchest label. The studio will still be working on console and PC games moving forward, but mobile is now officially a thing for it as well. In fact, the first title that Warchest publishes will be an iOS-exclusive title called Rad Soldiers. It’s a free-to-play, customization-focused turn-based strategy game that Splash Damage is framing on the official website as “Guns with Friends.” Rad Soldiers will hit the App Store sometime in June. * Yet again, rumors have sprung up that Apple is working on a smaller-screen iPad. This latest report, from NetEase, claims that the smaller version of Apple’s 10-inch tablet will be coming sometime in Q3 2012. Do any of you really believe this crap? We hear Apple rumors at least once a month. How often do they turn out to be on target, really? * Next week on April 25, Capcom will release the much-loved 2D fighting game Marvel Vs. Capcom 2 in the iOS App Store. It’s a full-on port featuring all 56 Marvel and Capcom characters from the original arcade game. There’s no doubting the game’s popularity, but our own Earnest Cavalli wonders exactly how the game’s elaborate control scheme will work on a touch screen. * PopCap released a big update earlier this week for its popular lane-based strategy game, Plants Vs. Zombies. The free download for the iOS release — no Android version yet — adds a bunch of new content, including additional modes, mini-games, features, and achievements. The biggest of the additions for a lot of iOS gamers is added support for Game Center leaderboards. Check out the game’s App Store listing for a rundown of what’s new. * Earlier this week, Electronic Arts released an iOS-exclusive Battlelog app that allows Battlefield 3 fans to check out their multiplayer stats and access various community features while on the go. It’s not quite as full-featured as Activision’s Call of Duty Elite app. You can’t, for example, tweak your BF3 class loadouts with it. You can probably expect to see that functionality added later this year, however, when EA drops Medal of Honor: Warfighter in the fall. * The software development kit (SDK) for Sony’s mobile-oriented PlayStation Suite entered the open beta phase this week. The closed portion of the beta kicked off late last year, so this represents progress for would-be mobile developers who want to work with PlayStation-certified devices. This includes the PlayStation Vita as well as Sony’s various Android phones and tablets. The plan is to launch PS Suite in full sometime this year. Developer who would like to download and try out the SDK can do so right here. 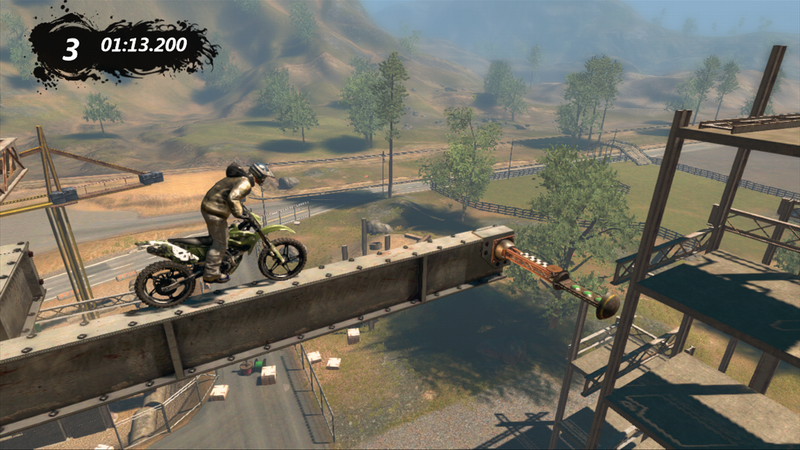 It might look like a motorcross racing game, but Trials Evolution from RedLynx is actually an elaborate puzzle/platformer built on a simple control scheme and the basic idea of “Don’t wipe out.” Don’t take my word for it here. Just read our review for the full rundown. The House of the Dead is a series that needs no introduction for veterans of smokey, old arcade parlors. Sega’s zombie-killing lightgun game absorbed a lot of quarters back in the day (2005). For just 40 quarters more, or $9.99, you can buy the game now on the PlayStation Network and download it directly to your PS3. The remastered version of the game features full Move support too, to give you the feeling of wielding a lightgun all over again. I’m normally not a fan of iOS store offerings that are priced as high as $9.99, but there’s an exception to be made with Red Marble Games’ Gratuitous Space Battles, the formerly PC-exclusive space-based strategy. The title pretty much tells you all you need to know. It’s a sweet-looking game with a very unique art style, and it plays well on the iPad’s touch screen. The best iOS adventure game of them all is Superbrothers, and now those without an Apple mobile device can find out what makes it so great. Featuring superb writing and music along with some light action elements, Superbrothers is a great way to kill a few hours on your PC. It’s largely identical to its small-screen predecessor, but you should definitely try it if you haven’t already done so. MacGuffin’s Curse is a hilarious little indie puzzle/adventure game for your PC. Fans of Professor Layton should definitely tune in. You’ll switch forms between human and werewolf as you solve a series of puzzles built around avoiding a horrible fate and bringing down a criminal mastermind. It’s fun, funny, and cheap. Especially so right now: both the PC and iOS pricing represent launch window sales. So grab it on the cheap while you can! The Creative Assembly took its epic-scale PC RTS series and turned it into an iOS game. Total War Battles: Shogun is a very different animal in comparison to its PC predecessors, but it’s a beautiful game that offers up the developer’s trademark attention to detail and depth on a portable platform. The play feels different, but you can definitely feel the Total War stamp all over it.